Welcome back to some fun time with NW. Stardoll is a place full of wonders and surprises, and we all know that. And this is the reason I'm making this post. Today we shall look at a short selection of artworks that were either inspired by, or have been recreated from original pieces. 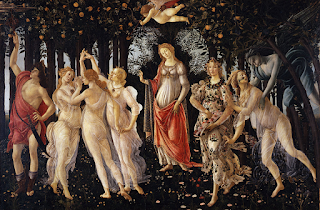 Dated to 1482, Primavera is not exactly a painting, in terms of being painted on canvas, with proper oil paints, but a tempera on panel, with egg yolk to secure the colours. You can easily spot a tempera by its not-so bright and vivid colours, and a chalky finish. This particular work was presented to us by Sandro Botticelli, during the Renaissance in Florence. While at this time originality and expression was not exactly a good thing to practice (you might as well could've been suspected of being a demon), this was not uncommon to spot artworks that produced other themes and narrations, other than Biblical motives, and images of the Saints. Mythological motives went through a grand revival during that time, yet, only the rich could afford to commission such works. And were only allowed to display those either at their private apartments (aka bedroom), or private chapels (but that's more true for patron saints). 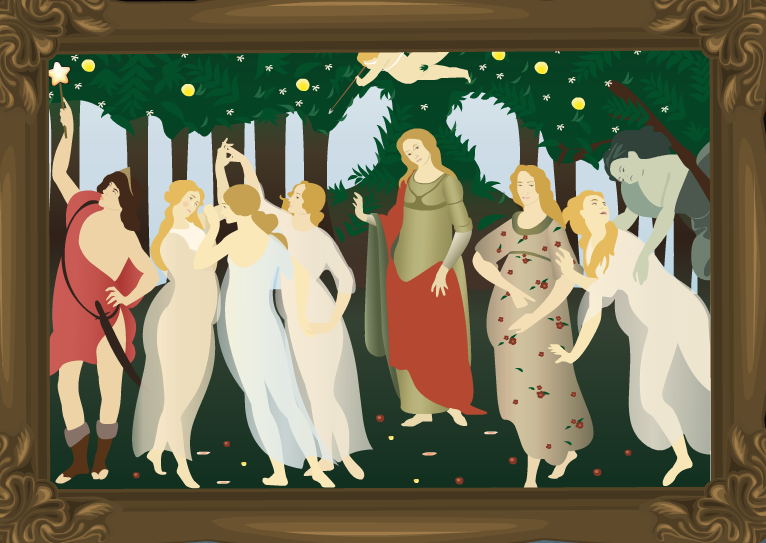 There is a lot I can say about Primavera - all of the imagery sings life and fertility. Yet, you may find it interesting that the pigments used to paint apples in the original work came from a special sort of medicinal apples. However, Medici was not just the name for doctors at that time. Surprise, surprise. From this, we can easily tell that this painting was commissioned by the Medici family. Yes, the rich ones who ruled Florence even though that city was "free of tyrants". And this was the way wealthy individuals and families could leave their mark and immortalize themselves through art. I wonder how many people actually cared to notice the sunken relief and the inscriptions on the wall of that Stardoll interior. 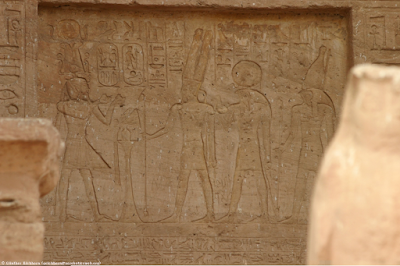 To note, sunken relief is the one that is carved into the stone - a fast, easy and cheap way to produce art in Ancient Egypt. Not like with that pesky raised relief. It was quite hard to locate the original idea behind this interior, however, the scene of a pharaoh (yes, it looks like this is post-18 dynasty) giving offerings to father Amun can easily suggest a scary amount of temples, including Luxor, Karnak, and... Abu Simbel. In terms of the interior designs of temples, it's worth to look at Amarna Art because the style that is often described as "baroque" leaves the best impression, and I have to admit this, Akhenaten's representation of Am... sorry, Aten, was the most vivid one. 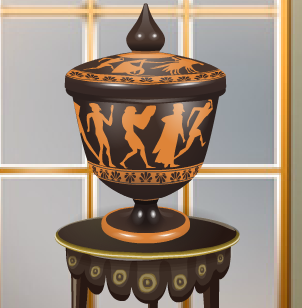 From the look of the Stardoll interior, it looks like the relief was carved either into sandstone, or limestone, both of which were an easier and cheaper medium, and didn't have to be imported from far away, not like granite, for example. 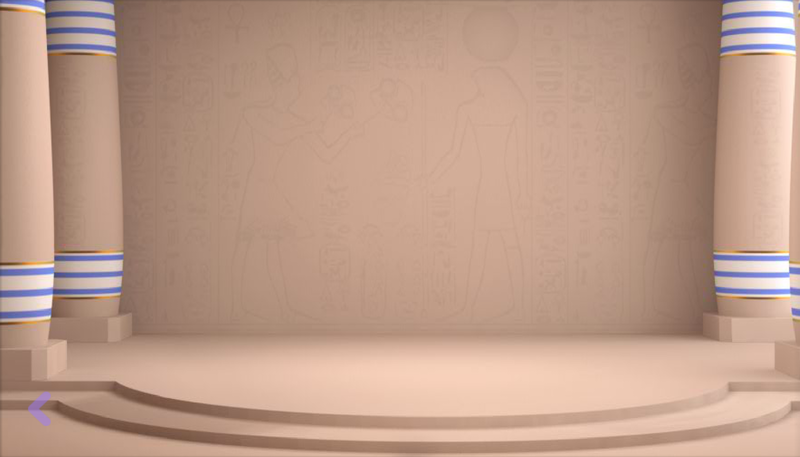 I can see the king's name written down in a double cartouche (hieroglyphs that are placed in a rectangular frame), and Amun, crowned by the sun disc, for some reason, is taking his animal-like form that is more typical of the Old Kingdom art. And by the way, inscriptions used to be a huge privilege back in the Old Kingdom (until both of Pepis ruined it for everyone), and only the king could have texts in his tomb. Now, this is one of my personal favourites. Being a more or less trained Egyptologist, it's quite hard to fit in other areas of expertise, but the iconography paper I took a few years ago, plus numerous trips to overseas museums, helped a bit. 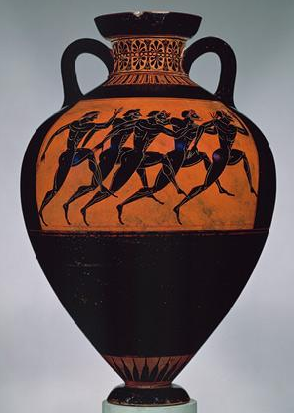 Dated to approximately 530 BC, only 200 years after the Dark Ages, made of terracotta, the amphora was meant to be filled with olive oil and be presented to the winner of Panathenaic Games that were held in Athens every four years. Yes, Olympic Games. That's about time for you to stop giving those medals and award olive oil in vases instead. Now take your time to admire the original, and reflect on the fact that we, as a society, went a long way to get to our nowadays art. I had more artworks to talk about, and honestly, I can spend days talking about the few ones I've listed already, but it's good to keep it short. More or less. Hopefully you've all enjoyed this lecture, oh, this informative post, mind that. 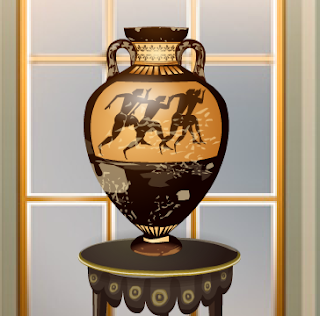 So, guys, have you got a favourite item on Stardoll that's a copy from real-life artwork? Feel free to share down in the comments, and as for me, I'm signing off.